Looking for a suitable location to include into your travel list for summer holidays? 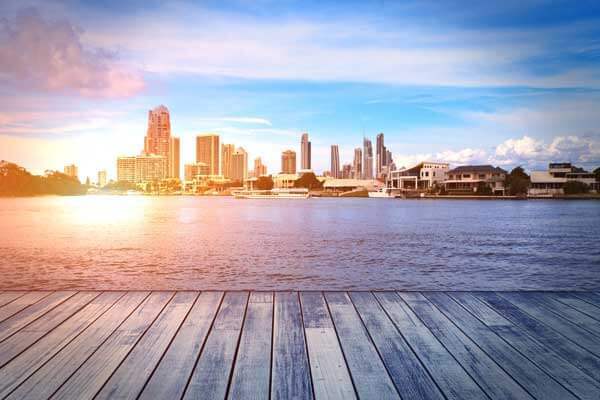 You might want to consider Gold Coast, Australia! There is so much exciting fun that awaits you, from theme parks to beautiful beaches, I don’t think you would want to wait any longer. You probably should start to prepare early for a trip to this location. First, let’s talk about the theme park! Dreamworld is the biggest theme park that you can find in Australia. From heart-stopping to lightning speed rides, your kids and you will definitely have a blast! If you’re looking to do something crazy for memory keepsake, go for the 38-storey ‘freefall’ ride called Giant Drop. start till end, while enjoying the sights, sounds, and scent of a real rainforest. Maybe you are one who just wants to chill and do nothing, head down to the beach then. I’d recommend you paying a visit to Main Beach, in Gold Coast. Just lay down a mat, apply sun block, and finally lay on your back – it’s that simple. If you get tired of being tired, grab a surfboard and do some surfing! Accommodation choices are plenty here. If you feel that you want to vary from normal procedure in staying in a hotel. You can try to rent something like a caravan, which you can camp in or near it, wherever’s possible for you to make a temporary rest-stop. If you’re on a budget, don’t worry as there are backpackers and hostels waiting for you. If in doubt, eat fish and chips! If you’re feeling adventurous, try finding restaurants that can cook up an awesome fusion culinary experience. I can recommend that you take a walk down to Duringan Street and see whether any eateries manage to attract your attention. Navigating around Gold Coast isn’t that hard. But if you have a lot of things to carry around, you might want to consider hiring a minibus or coach for the duration of your stay. At least you know that there’s somewhere you can safely place your belongings at, while you concentrate only on the fun aspects of your holiday.